Whether your roof needs repairs due to storm damage or has to be completely replaced because it’s no longer providing the protection you need, Daech & Bauer Roofing can help. 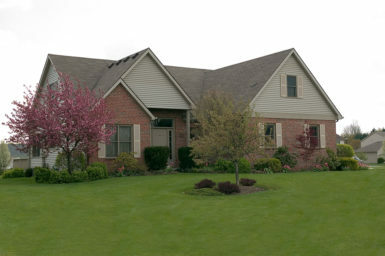 We’re a full-service home roofing contractor serving homeowners throughout the Troy, Illinois area, and we offer a combination of skill, service, and experience that is hard to match. We’ve successfully completed more than 10,000 roofing projects in the area, and our focus on providing customer-oriented service has helped us maintain an A+ rating with the Better Business Bureau for many years. Additionally, once your roof replacement project is completed, we will back our work with a five-year labor warranty on top of any manufacturer product warranties. For more information about the home roofing services we provide to homeowners in the Troy, IL area, contact Daech & Bauer Roofing today.